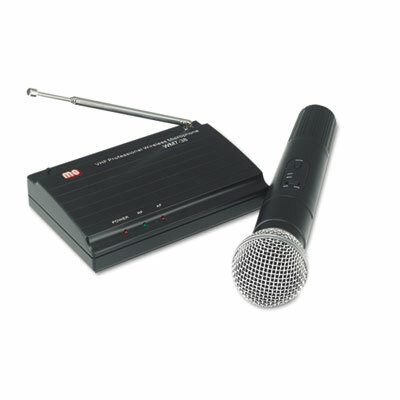 Converts all AmpliVox® sound systems to wireless, providing an instant boost to any presenter's stage presence. State-of-the-art, uni-directional, dynamic microphone features a tight cardioid polar pattern tailored to pick up speech and minimize ambient noise. Built-in transmitter delivers a consistent signal in a 300-ft radius.